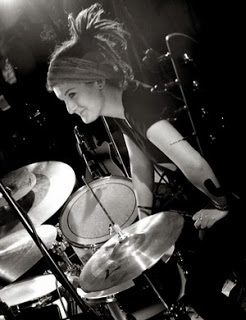 Jess Gold is the percussionist for the Steel City Rovers from Hamilton, Ontario. 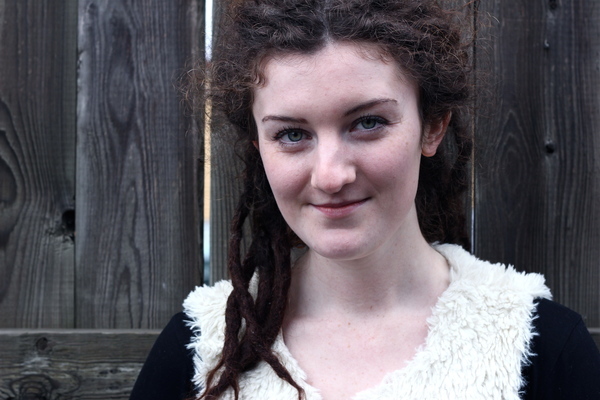 Jess has been playing drums for over seven years,and although her playing style is often described as electric funk, she loves to perform all types of music. Jess truly comes alive when entertaining an audience. At our house concern venue Jess will not use a full drum kit but will add percussion with the cajón and other rhythm instruments. She currently attends Humber College for the Bachelor Degree Program in Music. Her aim is to create a solid foundation on which she can build a lifetime full of music. The Steel City Rovers will appear at Chestnut House Concerts on Thursday, June 18, 2015. Potluck at 6, Show at 7. Suggested donation of $15/20. RSVP with Tim at tlehman9@gmail.com or call/text 71794-09311. This entry was posted in Upcoming House Concert and tagged Hamilton Ontario, Humber College, Jess Gold, June 16 2015, potluck, Steel City Rovers by chestnuthouseconcerts. Bookmark the permalink.